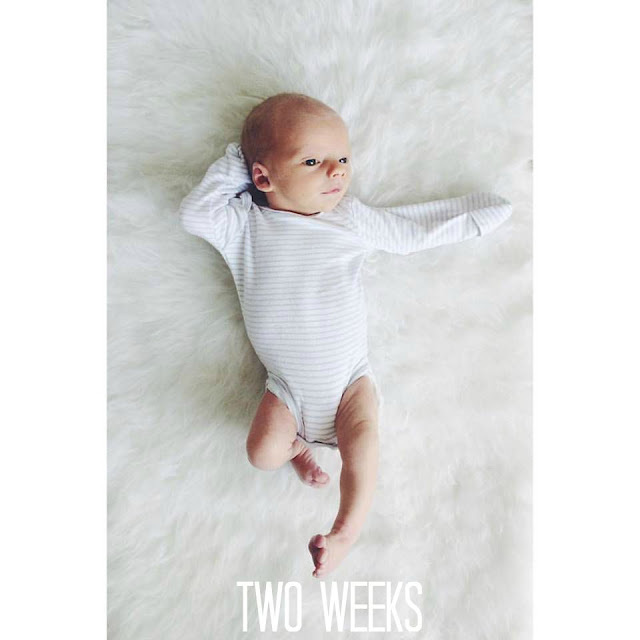 I can't even believe our little man is already TWO WEEKS old! Where does time go? I'll tell you, this little boy has my heart. He's so sweet, a good sleeper, eater, rarely cries and lets face it, he's pretty darn cute! See? I told you he's cute. 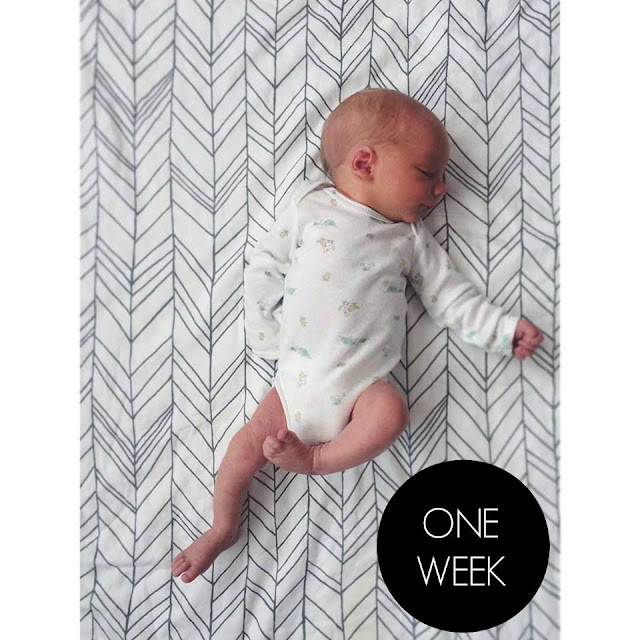 At two weeks, little man still hasn't made it back to his birth weight (boo) but he's getting there at 7 pounds 12 ounces (he was 7.15 at birth). Sadly, at his two week check up we learned he has a fractured clavicle from our traumatic delivery. It doesn't seem to bother him but still, a fracture in a newborn is just plain sad. Some of Miles favorite things include boobies, tummy time, snuggles and listening to his big sister sing! He has such a good big sister who loves him more than anything. I'm quite sure they're going to be the best of friends. And of course, I forgot to do Miles one week update so I have to squeeze this picture in somewhere. I wish I could bottle up time and enjoy these newborn moments forever, but I can't wait to see my sweet boy grow!